We learned in August that Windows 10 does not support SafeDisc and SecuROM DRM technology, meaning that games making use of them won't run. That in itself isn't necessarily a bad thing, given their various problems and security flaws, but it is potentially an issue for owners of those games, who will have to either re-purchase them digitally or, ironically, download a crack. 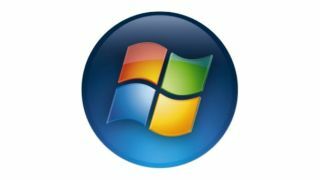 Now it's come to light that something similar has happened to Windows Vista, 7, and 8, through a security update that was rolled out earlier this month. "In addition to the changes that are listed for the vulnerabilities that are described in Microsoft Security Bulletin MS15-097, this security bulletin addresses a defense-in-depth update for the secdrv.sys driver, a third-party driver," the update summary states. "The update turns off the service for the secdrv.sys driver. This may affect the ability to run some older games." The update only impacts games which use SafeDisc, which makes use of the secdrv.sys driver, so SecuROM games will presumably continue to operate as they always have. For anyone who happens to need it, Microsoft has also provided a workaround, although it notes that making use of it "may make a computer or a network more vulnerable to attack by malicious users or by malicious software." To be clear, this is not a hyper-urgent or devastating situation, as the update will obviously only impact a very small number of users. But if you're in that boat, especially if you rely on auto-updates and don't pay much attention to what's going on under the hood, it's worth knowing about. More information, including how to automatically enable the driver if you've already updated and didn't really want to, is up at the Microsoft support site.